Be encouraged to get back to the vision God gave you with leadership focus to help grow your church. Dr. Mike Clarensau of Southwestern Assemblies of God University shares how when leaders lose their why and it causes the people of the church to not know its purpose. Here how he is setting up his students for success in leadership and church growth. Dr. Billy Wilson was touched by the Holy Spirit as a young man. Now through his leadership of the Empowered21 movement and Oral Roberts University, he brings a strong vision of Spirit empowerment to believers around the world. Listen as host Chris Johnson interviews Dr. Wilson about this important work and learn how you can get involved. Rev. Dr. Pablo Diaz makes a big difference in his wide-ranging outreach ministry with Guideposts, where he serves as vice president of ministries. In a new outreach booklet, he shares a message of faith for believers seeking to be empowered in their daily Christian walk. Do you ever wonder what discipleship is or how to disciple another believer in Jesus? Kandi Gallaty of Replicate Ministries has made disciplemaking a practice in her own life and trains women to make disciples in obedience to Christ's Great Commission. Listen as host Chris Johnson talks with Gallaty, the author of Disciple Her, about this topic that is important in the life of every Christian. Making decisions can be a challenge. We get tired of making so many decisions, and the big ones loom on the horizon of our lives. We ask ourselves, What if I make the wrong decision? Is there a Plan B in God's will? Emily P. Freeman, author of The Next Right Thing: A Simple, Soulful Practice for Making Life Decisions, helps us de-stress, create space for the soul to breathe and discern the next right thing. TotalCare serves families with primary, urgent and emergency care. With Christ as his foundation, Wes Saade, M.D., leads the Dallas-Fort Worth, Texas area organization in serving the community. The Best Christian Workplaces Institute also recently named Total Care one of its best places to work. Evangelist Siegfried Tomazsewski, president of Calling Ministry, shares how God is bringing together churches and ministries around the world to support 1GDA, One God-One Day-One Africa, with gatherings in African countries all on the same day in May 2020. Ordained with the German Pentecostal movement, Pastor Siegfried worked with Reinhard Bonnke of Christ for All Nations for almost 20 years. Debut author and pro-life advocate Pam Tebow believes all women have influence. She writes about how to nurture and use that influence for Christ in her new book, Ripple Effects: Discover the Miraculous Motivating Power of a Woman’s Influence. She also shares about her family, homeschooling and missionary life. Known as the "Praying Prophet," Jennifer Eivaz believes it's possible for every believer to carry the glory of God in their lives. Eivaz, author of Glory Carriers, explains what the glory is, as found in Scripture, and how those who follow Jesus can manifest the presence of the Holy Spirit. In this Charisma Connection podcast, she shares how she came to understand how God's glory manifests and experience it in her own life. How do you break the cycle of homelessness with our youth? Rhona Mahl believes you must speak truth and value into their lives. Hear Rhona talk with Charisma News host Jessilyn about her ministry Braking Cycles and what they are doing to change the youth homeless culture in Portland, Oregon. Pastor Craig Nicholia and his Mountain Movers church are seeing the Holy Spirit move in miraculous ways in the state of Alaska. The church is inviting one and all to come free of charge to the International Prophetic Fire Conference and Revival where God has worked many healing miracles in the past. Pastor Craig also shares about how Heidi Baker was healed in Alaska many years ago. All Nations Executive Director Joshua Johnson reflects on the believer's role in fulfilling the Great Commission. Find out how you can come alongside All Nations, a missions organization started by Floyd McClung, to follow Christ's command. You are also invited to Further Together, an event featuring Jaime Saint and honoring the life of the late missionary John Chau. Writer, director and cinematographer David Kiern talks with Charisma Connection host Chris Johnson about his new documentary I Am Israel. Actor John Rhys-Davies, best known for his roles in the Indiana Jones and The Lord of the Rings series, narrates the film, which tells the story of the miraculous rebirth of the land and the regathering of the Jewish people. Is the Passover important to Christians today? Dr. David Herzog of David Herzog Ministries thinks so, and he will celebrate all the Passover means in his ministry's Passover Glory Festival. With host Chris Johnson, he also discusses the coming spiritual awakening in America and the unusual miracles God is doing through his ministry. When believers receive a prophetic word for their lives, they need to know whether to wait for God's fulfillment of that word or to act on it in some way. How does God lead individuals through prophecy today? Should believers seek the prophetic? Pastor Bob Sawvelle of Passion Church in Tuscon, Arizona, teaches us on Charisma Connection how to align our lives with the personal prophecies we receive. Jim Pitman, director of Multi-Language Media, speaks to Charisma Connection host Chris Johnson about a ministry outreach to motorcycle enthusiasts held in March in Daytona Beach, Florida. Known for its Mardi Gras-type atmosphere, Daytona's Bike Week attracts a half-million people every year. Pitman and volunteers from other ministries around the world are seeing salvations as they witness for Christ and are distributing copies of the Biker Bible with biker testimonies during this world-famous motorcycle rally. Jonathan Feldstein, an Orthodox Jew, believes in building bridges between Christians and Jews. His Genesis 123 Foundation is doing just that in a unique way with Run for Zion (runforzion.com). In this Charisma Connection podcast, Chris Johnson talks with Jonathan about how runners and non-runners can participate both spiritually and physically in this Jerusalem Marathon event. Former oil industry executive Fred Saleh never expected to be a pastor. He was far from the Lord when two of his children and his wife gave their hearts to Jesus when the family lived in Iran. But God got Saleh’s attention and transformed his life. He now leads Acts 13 Christian Ministries, the international arm of Church on the Rock in the Toronto area. In this Charisma Connection episode hosted by Chris Johnson, “Pastor Fred” shares his life story and teaching from his Breaking the Silence book series. Host Chris Johnson’s interview with Influence Music artist Matt Gilman concludes this special series on The Send, a stadium event held Feb. 23 in Orlando, Florida. Gilman was one of many artists who led tens of thousands in praise at the gathering. Participants, many of them young, came from near and far to be activated into their evangelistic and missional calling. We spoke with one participant, Jennifer Ward, who came from Boston to attend The Send. Tens of thousands gathered in Orlando, Florida, for The Send on Feb. 23, 2019. The Send is a stadium gathering and national campaign to catalyze every believer into a lifestyle of Christ-like action. Charisma Connection reflects on the movement in this continuing series with Sammy Rodriguez of Youth With a Mission's Circuit Riders and the Carry the Love campus campaign. Tens of thousands gathered in Orlando, Florida, for The Send on Feb. 23, 2019. The Send is a stadium gathering and national campaign to catalyze every believer into a lifestyle of Christ-like action. 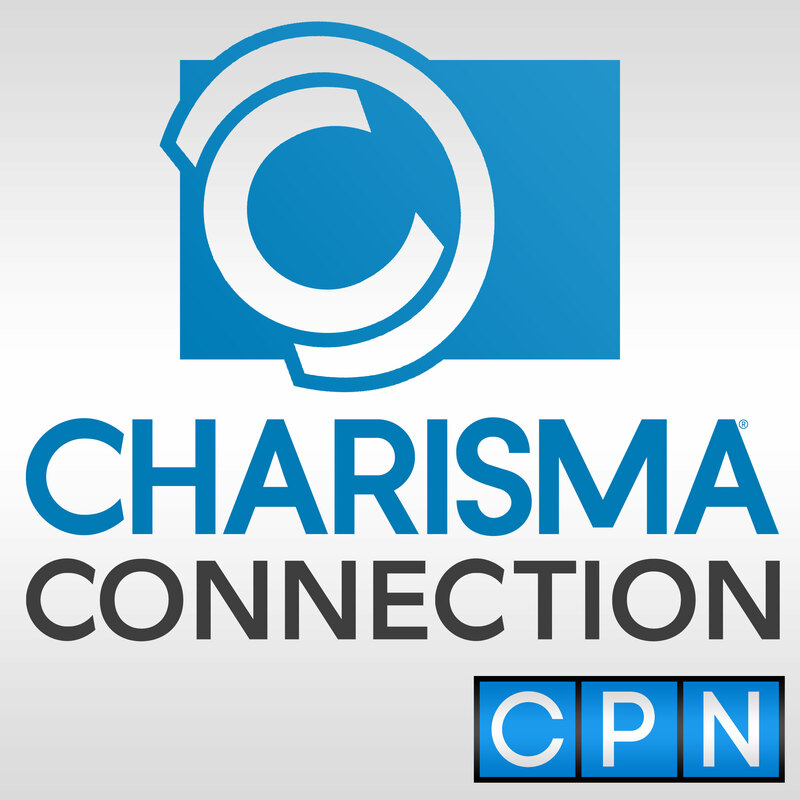 Charisma Connection reflects on this evangelistic and missional movement in a four-part series. In this episode, we speak with Brazilian pastor Teo Hayashi about what the Holy Spirit did at The Send and, more widely, what He is doing in the church and on campus.